One more feather in Decor-A-Shaan’s cap. Decor-A-Shaan had done the complete Decor of the Ella Bache Awards Nite held at ATP on 23rd August, 2014. It was a Bollywood themed nite with Singers, Dance Troupe, Drummers, Colours … and of course nothing is complete without an Indian Sweet, as a Welcome Bite. Ella Bache highly appreciated and commended the Work and Service of Decor-A-Shaan. Click here to visit gallery. Decor-A-Shaan features in Indian Link Newspaper. 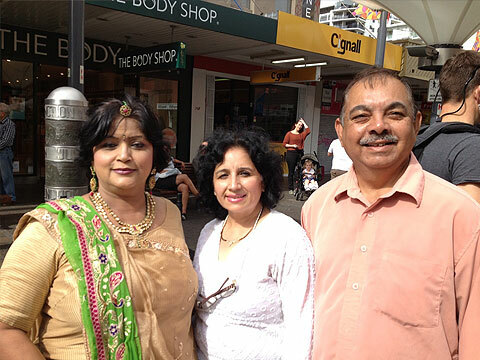 Indian Link Newspaper is currently one of Australia’s leading ethnic newspapers which now has a print run of 44,000 per month with an estimated readership of over 160,000 per edition.They also produce the Indian Link E-paper, which is emailed directly to over 25,000 email subscribers each month. Guess who’s back on TV this year? 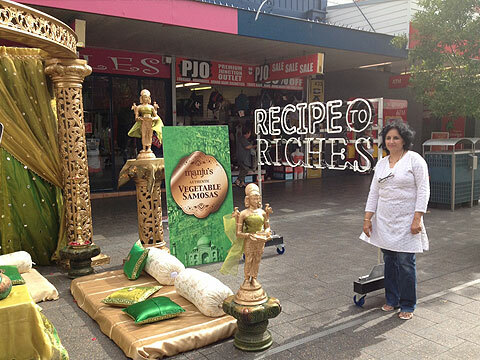 Decor-A-Shaan is back on TV screens in Channel Ten's new series 'Recipe to Riches Australia' (Season 2013) . Decor-A-Shaan has done the decor in couple of episodes and in the “Grand Finale” too. Oh, and you might see some familiar faces too !!! 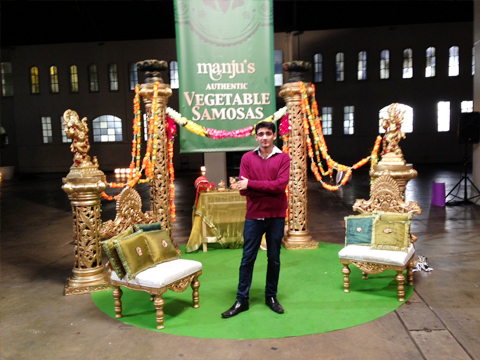 All the decorations for Dolly's spicy Vindaloo product launch were proudly provided by Decor-A-Shaan! 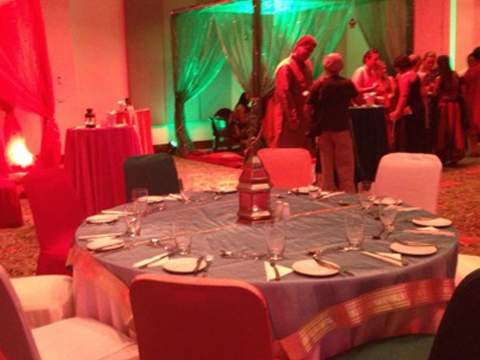 Everything from the Draped canopy to the Elephant figures and red carpet is from us! Call us now and let us spice up your next event! 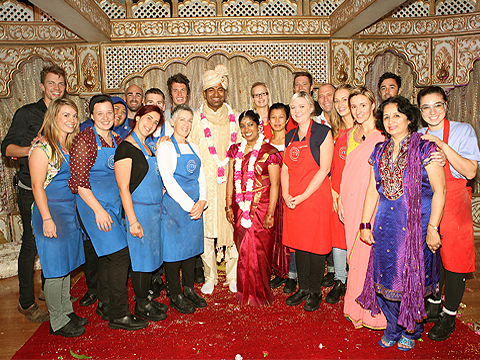 Yes, Decor-A-Shaan was involved in a Destination Wedding in Fiji! 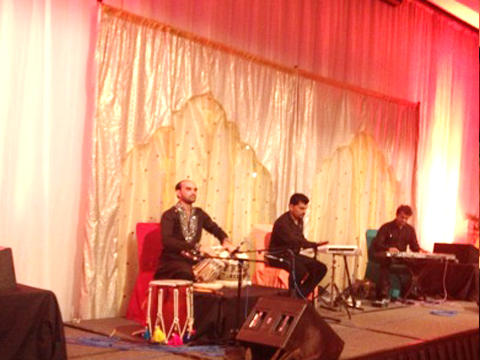 Decorations for the Musical Night and Wedding were proudly provided by Decor-A-Shaan. The event was held at Sofitel resort Grand Ballroom and Naisoso Island. 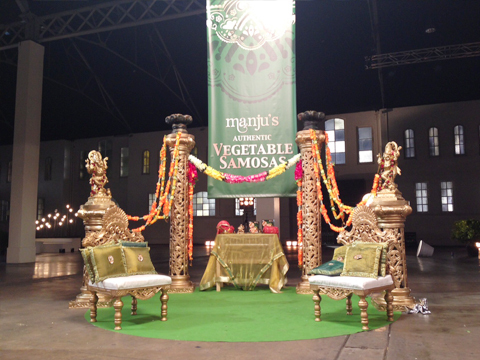 Our Decor-A-Shaan bride had a wedding fit for a Princess, and rightly so. We're incredibly glad that we could be a part of this princess' special moment and make it extra special. 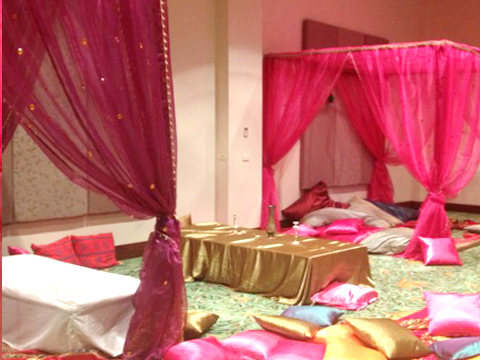 Decor-A-Shaan's mandap and decor have been featured in an online magazine in USA!!! 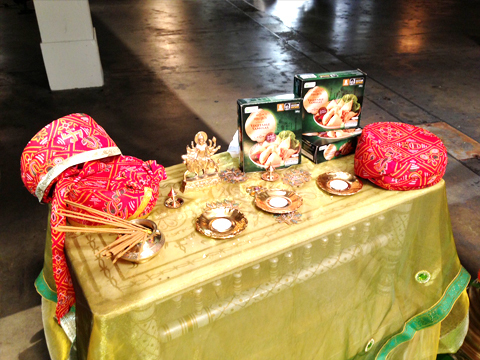 Decor-A-Shaan was featured as a Highlighted Vendor on MaharaniWeddings.com for the wedding of Darkshayani Nadeswaran and Shehan Wickramasuriya that took place on Tuesday, November 06, 2012! For more detail, please click here! Another feather in our cap! A wedding mandap that we did for Sanjiv and Rebecca at The Australian National Maritime Museum as on 17th August 2012 has been featured in the The Sydney Morning Herald! Check out the pictures and the article too! 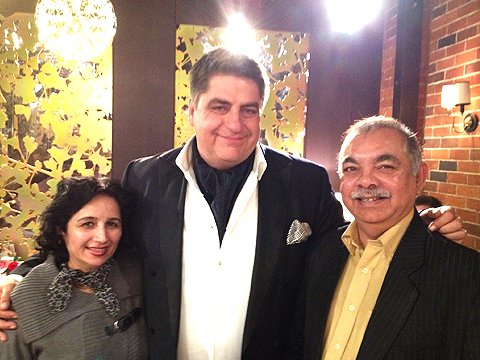 Decor-A-Shaan had been debuted on one of Australia’s most watched television series MasterChef Australia as on 20th June 2012 Episode No.40 (on Air for Australian Audience). With the show’s popularity extending beyond the boundaries of Australia. Decor-A-Shaan is excited to share with millions around the world, the magic we create at every special occasion we are part off. For team challenge on MasterChef, all the planning, decorations, mandap, lighting etc has been proudly done by Decor-A-Shaan. 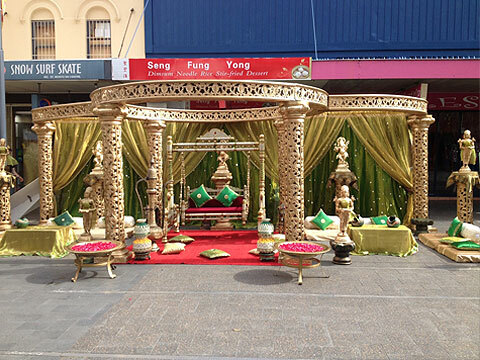 Decor-A-Shaan had done event decoration for "Bollywood in Wollongong festival". Held in the University’s lush grounds. 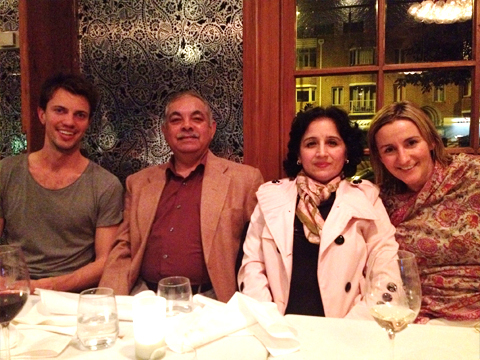 Bollywood in Wollongong celebrated India’s rich and exciting culture with its program of film, dance, music, food and art.